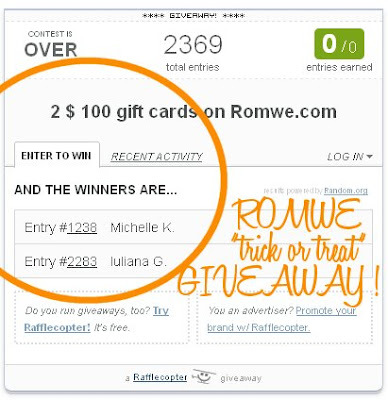 Time has come to announce the winners of the Romwe "trick or treat" $200 worh Giveaway on Fashion and Cookies !. I checked and they completed all the compulsory tasks and also other tasks ! 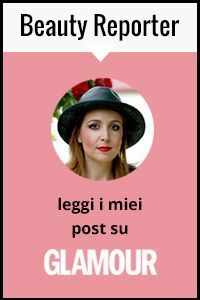 Congratulations girls, I will give your contacts to Romwe and they will contact you directly to give each one of you the $ 100 voucher, I am sure you'll be able to buy something nice with your shopping !. Thanks Romwe.com for sponsoring this very nice giveaway and all of you for taking part in it, and if you didn't win just try again because a new giveaway that is gonna start sooner than you expect !. Very cool. Congrats to the winner. Awesome! Thank you so much. i just saw this today and this just made my day. :) Will definitely do some retail shopping therapy. i just hope i didnt accidentally miss out the email from romwe, still didnt got any message about it.